As my work slowly begins to settle down, my mind is slowly shifting to shopping, just like every woman. In this post, I want to show you a few pieces I have chosen from Dreslily's site. The transition seasons are very distressing for me. It’s hard to tell what to wear when it’s cold in the morning and hot at noon . I spend some time on the internet and collected the pieces I like before making arrangements in my closet . If you are having trouble choosing clothes this season, I suggest you browse my request list, which is under $ 25 each. This season I am in love with flower-patterned dresses and everything that has embroidery details. It is possible to get a stylish appearance effortlessly with these kinds of clothes. Let's first look at the tunic tops. 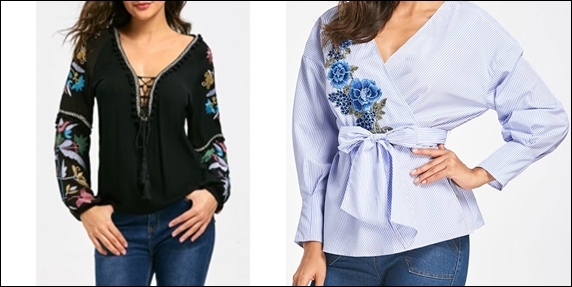 Embroidered blouse with embroidered arms and cross-tied chest section presents two recent trends that are popular at the same time. Similarly, the front-link embroidered shirt is a good alternative for everyday use. The mini dresses that can be worn with thick socks or tights are very popular this year. 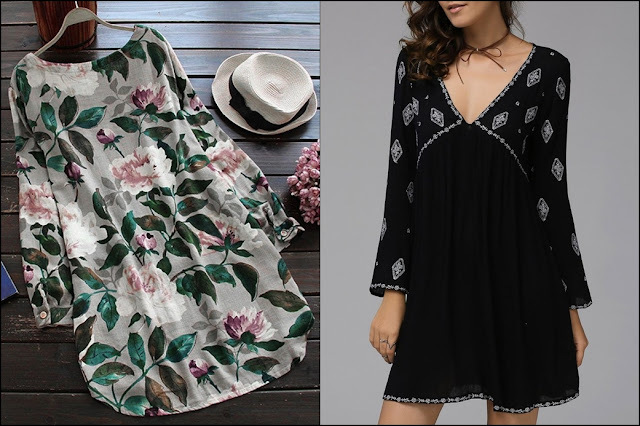 Don’t you think flower patterned linen dress and a black dress with embroidered pattern are really nice? 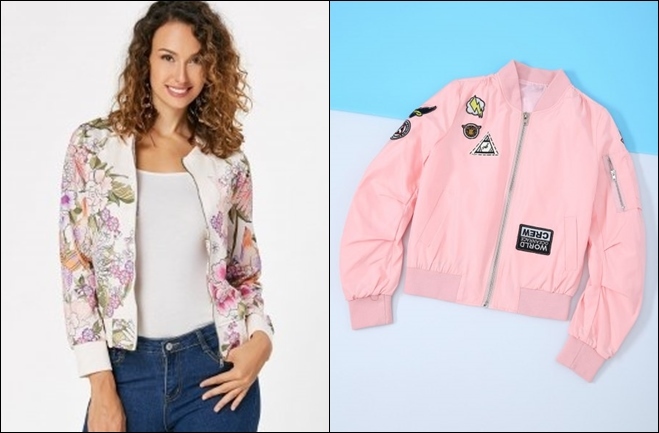 Autumn without bomber jackets is unthinkable.Romantic detailed two bomber jackets go well before it gets quite cool. Which of the six pieces of clothing I chose did you like most? Bomber ceket bu mevsimin olmazsa olmazı resmen! Çok tatlı parçalar seçmişsin Filiz'cim, sevgiler!